Above is my first comic photo reference picture ever! Okay, not really. 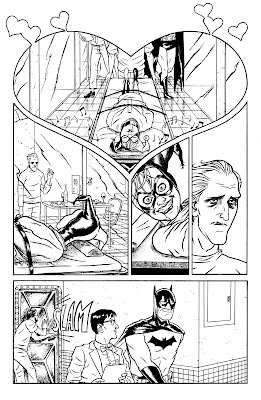 But I found this picture amidst a bunch of my old comics, and just had to post it. The photo dates back to 1992, when I was just a wee little nerd. At the time, there was a grand opening of a local department store in my hometown, and its owners thought it a good idea to inaugurate such an occasion by hiring a guy to dress up like Spider-man. 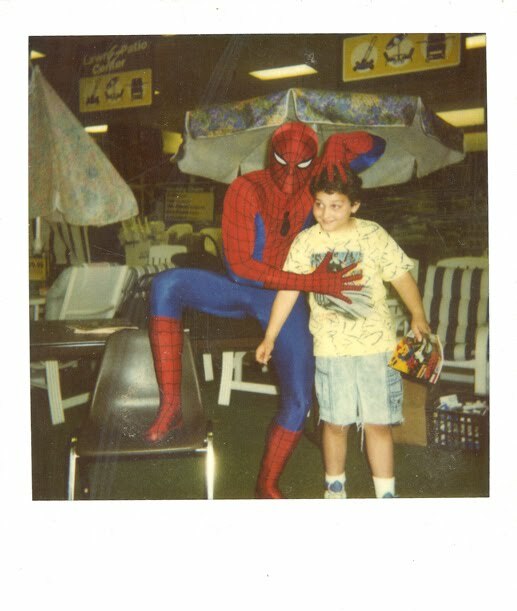 There he handed out free Spidey comics and posed for photos. I have no idea why they placed him in the patio furniture area of the store. Also, nerd note: Batman Returns had just come out that year, and I was a HUGE fan, hence my wearing a Batman t-shirt. 'Spider-man' was not pleased about this, and proceeded to give me a hard time, making sure to obscure Michael Keaton's face for our photo. Okay, enough reminiscing. 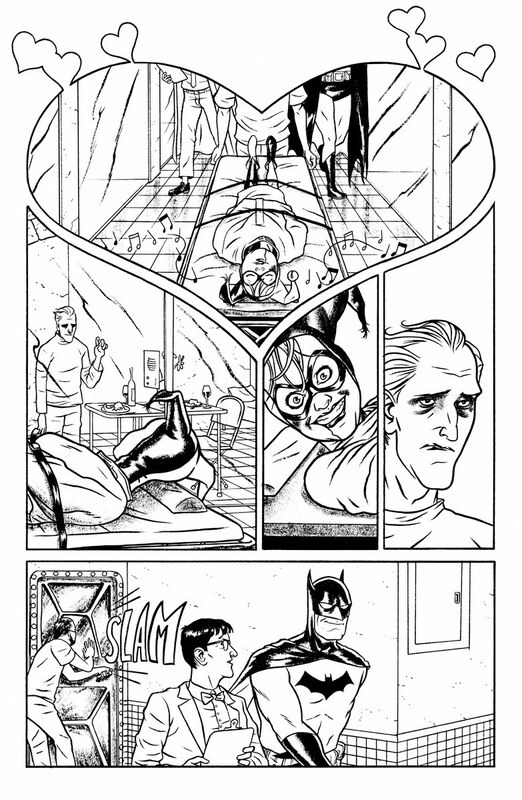 Here's a look at some art from two recent Spider-man and Batman stories I worked on, respectively. 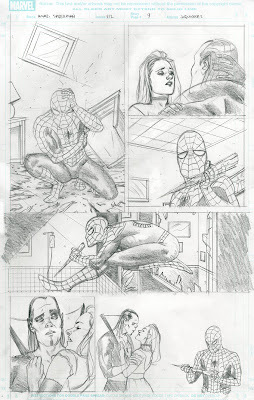 Just in case you hadn't noticed, Joe: Your recent projects involve drawing both Spider-Man and Batman. Eleven year old me is dripping with envy of twenty-nine year old me. Twenty-nine year old me is dripping with envy of eleven year old me's undeniable style. That’s a pretty good Spider-Man costume (classic small eyes are back in style). Do you remember what free comic you got?..Cause I also met Spider-man when I was 8 and got a free anti-drug, spider-man goes to Canada issue.